Black Bear Inn during the winter. 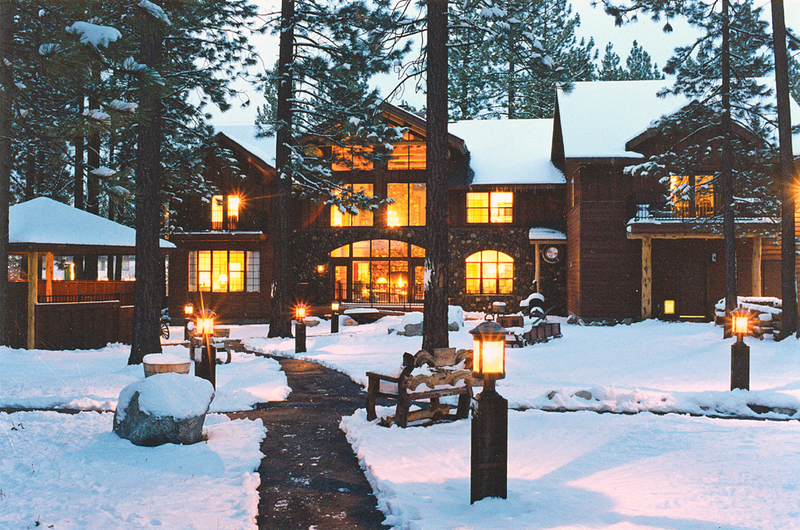 Black Bear is an elegant, rustic lodge in South Lake Tahoe offering luxury accommodations in a relaxing mountain setting and is positioned close to all mountain and Lake Tahoe activities, beaches, ski resorts and restaurants. Voted one of the best B&Bs in California, Black Bear’s main lodge has five comfortable guest rooms, each with private bath, king bed and gas fireplace. Three spacious, romantic cabins of varying sizes and a hot tub gazebo sit on the back grounds beneath the pine trees. Each cabin has its own private patio. Every morning a full, hot breakfast is served.